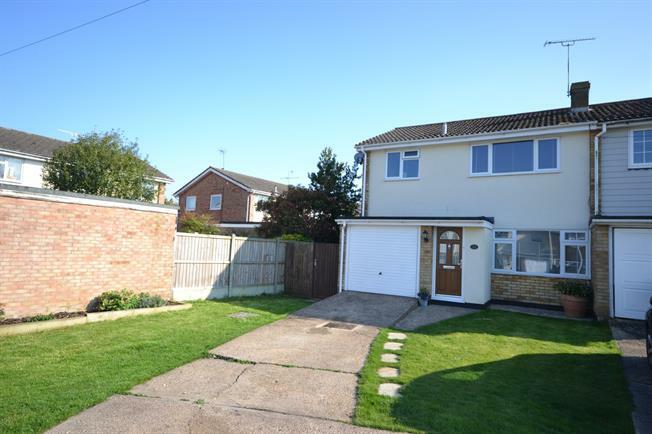 3 Bedroom End of Terrace House For Sale in Southminster for Asking Price £275,000. OPEN HOUSE WEEKEND 27TH/28TH CALL TO VIEW Introducing this three bedroom end of terrace property which has been recently updated throughout. The ground floor features a large open plan lounge diner, with bi-folding doors out onto the rear garden, and fitted kitchen. The first floor is home to three double bedrooms and a spacious family bathroom. Externally the rear garden measures approximately 62 ft and faces south, whilst the front provides parking for up to three cars along with access to the single integral garage.